Much has been written about blended learning in recent years. The term itself is self-explanatory i.e., it’s a blend of two or more training methods. To be more precise, it’s a learning technique where a learner learns at least in part through delivery of content and instruction via digital and online media with some element of control over time, place, path, or pace. A brick-and-mortar classroom session is conducted by an instructor using traditional instruments such as chalk and board. Blended learning brings the classroom and technology together to offer a better way of learning. Blended learning refers to the use of technology to complement classroom sessions and strengthen the teaching/training process through practice and the application of concepts learned in the classroom. And in the realms of eLearning, blended learning is the complementary use of e-learning in the standard educational model. OK. Now that we know what blended learning is, let us jump in and take a look at why it’s so important. Let’s say your company has launched a new product in the market. With every product launch, it is imperative that the sales force gains product information as soon as it is released in the market in order to offer a better sales pitch. But because they are in the field and hard pressed for time to attend any classroom session, how do you provide them the necessary information? With blended learning in place, an online platform and a trainer deliver the learning materials and impart training (product information for the above example); providing course materials online means your learners can access the learning content by merely using an electronic device connected to the Internet. And you also get to update these materials whenever you want. By using a combination of online instruction and face-to-face learning, employees working in remote locations can have face-to-face interactions with their trainers through web conferences (digital classrooms). By combining the best of both worlds, blended learning brings in the advantages of both ILT and e-learning. ILT can be implemented for those aspects of training that are only effective through personal interaction and e-learning for others (parts) that can be self-learned by the learners. Take sales training for example. In order to offer a better sales pitch, sales reps are required to have skills such as selling and negotiation, as well as knowledge on the existing products. 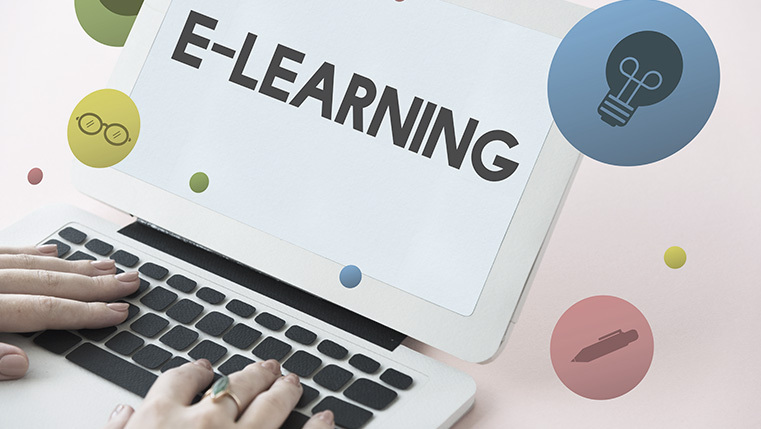 In this case, ILT can be implemented to impart soft skills training since it allows the trainer to personally interact with the sales reps. E-learning can be used to impart product knowledge in engaging ways. Constantly pulling employees away from their work to offer training can have serious performance issues. Blended learning on the other hand, scores high on flexibility. When attending an ILT session is not feasible, e-learning could help employees working tight shifts to easily upgrade their skills and knowledge in a convenient manner by accessing online courses, as well as gain new ideas and information through electronic media from the home, office, or any other convenient location. Trainers know that learning is never a one-size-fits-all. But the right technology can help fit every learner’s needs while still fitting under the resource and time constraints of their jobs. And because e-learning provides 24X7 access to materials, they can learn anytime, anywhere. It’s no secret that blended learning is a very powerful and popular method of instruction. Leveraging both ILT and e-learning and faster delivery of training are its biggest strengths. Besides, it’s very cost-effective. And as digital fluency increases globally, blended learning will be accepted more and more by organizations all around the world in supplementing classroom training. What do you think of the rising supremacy of blended learning in corporate training? Do share your thoughts.